2010 TOYOTA TACOMA DOUBLE CAB, 4.0L V6, 4X4, TRD SPORT PACKAGE, POWER WINDOWS AND DOOR LOCKS, AFTERMARKET STEREO, REARVIEW MIRROR BACK UP CAMERA, BRAND NEW FRAME, VERY NICE TRUCK, COMES SERVICED WITH STATE INSPECTION, WARRANTY. 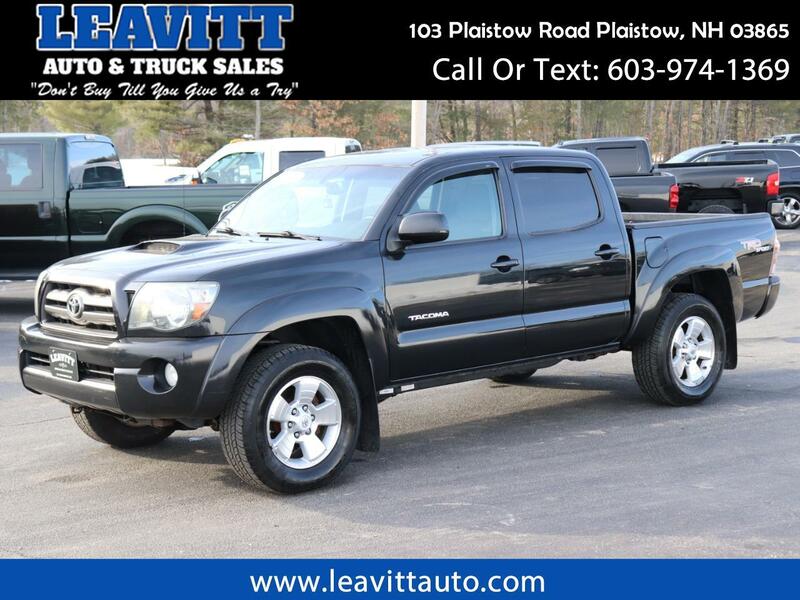 Visit Leavitt Auto And Truck online at leavittauto.com to see more pictures of this vehicle or call us at 603-974-1369 today to schedule your test drive. Message: Thought you might be interested in this 2010 Toyota Tacoma.